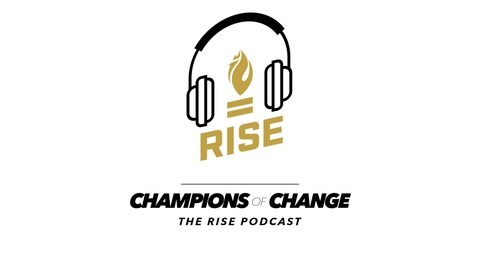 With new episodes every other Tuesday, Champions of Change: The RISE Podcast gives athletes and leaders in sports a platform to tell their stories and share their perspectives on issues of athlete activism, social justice and diversity in sports. Hosted by Ian Cutler, our podcast features interviews on how athletes are making a difference in their communities, and the power of sports to bring people together, improve race relations and promote understanding, respect and equality. 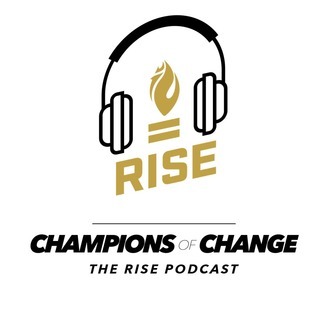 Champions of Change: The RISE Podcast is a product of the Ross Initiative in Sports for Equality. Adia Barnes, Arizona's women's basketball coach, led the Wildcats to the Women’s NIT Championship this spring, following a season in which the team won only six games. Adia, who also played at Arizona and is the program's all-time leading scorer, talks about being one of the few female coaches of color in the sport, and discusses the importance of diversity in leadership and coaching. She also shares how she’s worked with RISE to empower her student-athletes to lead others in advancing values of inclusion and equality, and tells us about winning a WNBA championship and playing with all-time greats like Sue Bird and Lauren Jackson.